Sometimes innovation comes with simplicity, an all-round solution to those tricky and often time consuming issues that before, just seemed to be part and parcel of the job. 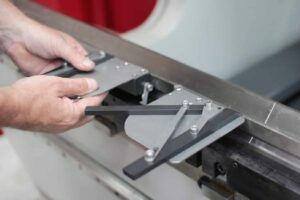 Certainly, in the case of press brakes, obtaining complete accuracy with your bends and maximising the number of small parts you can get through your machine when working with angled bends and long, thin metal sheets has always been about time and patience to get the job done well. 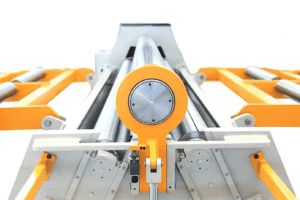 When the squaring arm is attached to the face of your die, with no intrusion into the forming area itself, it allows accurate bending for small parts or long, thin metal sheets with precision, instantly adding flexible adjustability anywhere from zero to ninety degrees. Just set the angle you need to match your part, tighten the four allen key bolts and you’re ready to work, safe in the knowledge that your bend is in the right place and at the right angle each and every time. 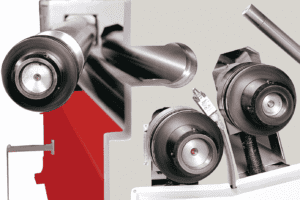 The press brake squaring arm is available in left and right-hand variations, for single use or together simultaneously, saving operator time and driving productivity. Weighing in at a mere 1.4kg, the Morgan Rushworth press brake squaring arm is easily attached, easily removed and can be transported and stored safely and easily. It also provides the shelf you need when working will small parts, to allow positioning of the workpiece against the arm with fingers and hands safely removed when the bending process starts. 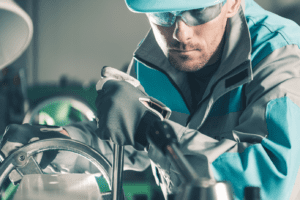 At Selmach, our partnerships form an important part of the service, and products we are proud to offer. With that in mind we look for quality products that enhance our range, made by innovative companies who share our ethos. In the case of the Morgan Rushworth press brake squaring arm, we are delighted to say we have found both; a well made and reliable solution, fully compatible with our own extensive range of Morgan Rushworth press brakes, made by a company with a reputation as one of the best. For more information on our extensive range of Morgan Rushworth press brakes and the Morgan Rushworth press brake squaring arm get in touch with us today.